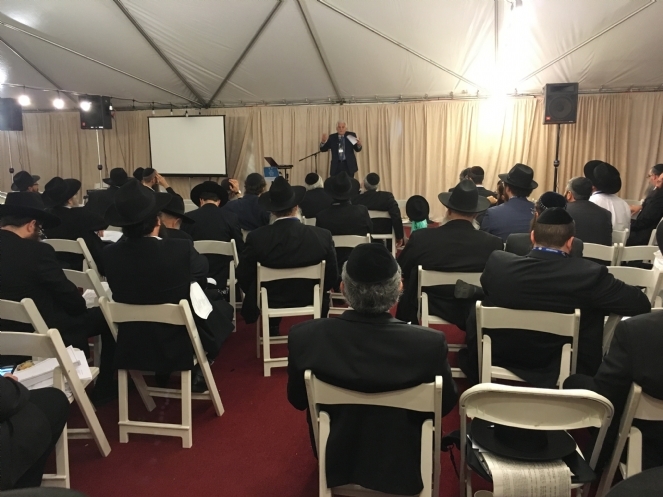 A couple months ago, I had the opportunity to present a fundraising workshop in front of a varied group of Chabad rabbis, shlichim as they’re called, at their annual International Conference of Chabad-Lubavitch Emissaries in the Crown Heights neighborhood of Brooklyn, N.Y. The bulk of the conference — workshops, classes, study sessions — took place in a massive 138,000-square-foot armory transformed into a convention center for 5,200 rabbis and guests from around the world. I watched with interest as the rabbis, with their trademark black fedoras and long beards, slowly filed into the room where I’d be talking to them, a white tent set up in a corner of the hangar-like space. It’s not your everyday training session, that’s for sure. "I saw a passion unlike anything I’ve witnessed before. Upbeat and energetic rabbis discussing not the decline of the American Jewish community but what they were doing to help build it." While I attended the men’s conference, the shlichot, or female emissaries, will be having their annual conference in just a few weeks. As Joseph Telushkin points out in his New York Times’ bestseller Rebbe, the wives of the shlichim, the shlichot, are perceived as full work partners with their husbands and that it was actually the Rebbe — Rabbi Menachem M. Schneerson — who suggested the establishment of the annual convention for shlichot. This wasn’t my first encounter with Chabad. I’ve long had appreciation for these rabbis who, together with their wives and families, have dedicated their lives in the hope of bringing their fellow Jews — often in the most far-flung of places — closer to Judaism. In fact, I have had the pleasure to work and interact with many Chabad institutions here in Detroit, including the Lubavitch Yeshiva-International School for Chabad Leadership, a school with hundreds of alumni serving as shlichim to Jewish communities around the world, many of whom I had the pleasure of meeting at the conference. I’m also very well acquainted with The Shul, MJI and the Friendship Circle of Michigan, an extraordinary organization that brings together teenage volunteers and children with special needs for hours of fun and friendship. Rabbi Mendel Stein, the Lubavitch Yeshiva’s director of development, whom I have known for several years by now, invited and encouraged me to speak at this awesome global Jewish gathering — an experience I am truly grateful for. I accepted Rabbi Stein’s invitation immediately, precisely because of my firsthand knowledge of the good work Chabad does here in the Michigan area. I’ve been involved in community work and fundraising for close to 60 years, and sharing some of my experience with these incredibly young (and not-as- young) rabbis was the least I could do. When I arrived with Rabbi Stein at the Bedford-Union Armory in Crown Heights, I saw a passion unlike anything I’ve witnessed before. Upbeat and energetic rabbis discussing not the decline of the American Jewish community but what they were doing to help build it and how they could do that better. I immediately realized that while I would be presenting to these rabbis and contributing to their efforts, I would be receiving so much more. • Twenty-one years since his passing, the Rebbe’s teachings continue to guide and inspire his army of shlichim. There’s a tremendous sense of mission and focus that exists among them in a way that it doesn’t exist in other organizations. We need to be extremely clear on our organization’s mission and stay focused. • Chabad rarely, if ever, focuses on costly studies or polls. Instead, they focus their energies and funds on implementing their mission and delivering tangible results. We must remember that internal studies, reports and polls, however worthy, are merely a means to an end. • When interacting with shlichim, one will quickly sense their strong responsibility to the Jewish people, a responsibility that far transcends covering their annual budget or promoting a specific agenda. We have to be sincere about our work, and sometimes that means putting our personal agendas aside and doing what’s truly best for our people. Mort Plotnick is a development consultant who specializes in the nonprofit sector. 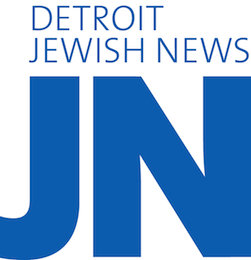 He is the executive director emeritus of the Detroit JCC and lives in West Bloomfield.